What is a Ceiling Fan’s CFM? reduce energy costs. But that’s only if a fan is efficient. 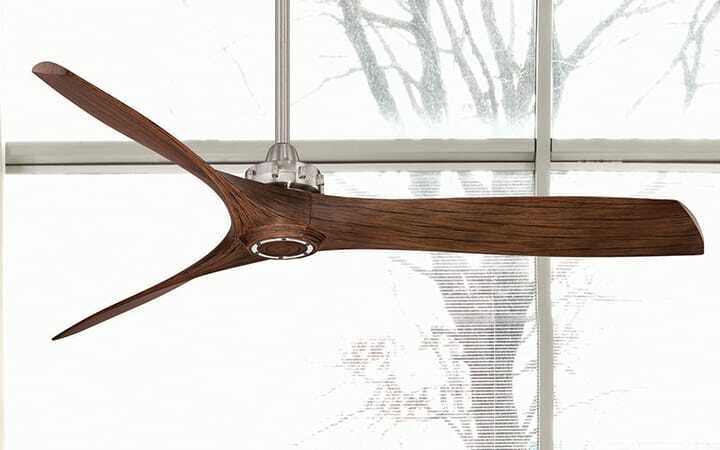 To determine a ceiling fan’s efficiency, you need to know its CFM, or airflow. CFM stands for cubic feet per minute (it is also referred to as airflow). Put simply, CFM is how much air a fan moves. The measurement is taken when the ceiling fan is on its highest speed and uses both the volume of air and the rate at which it moves. 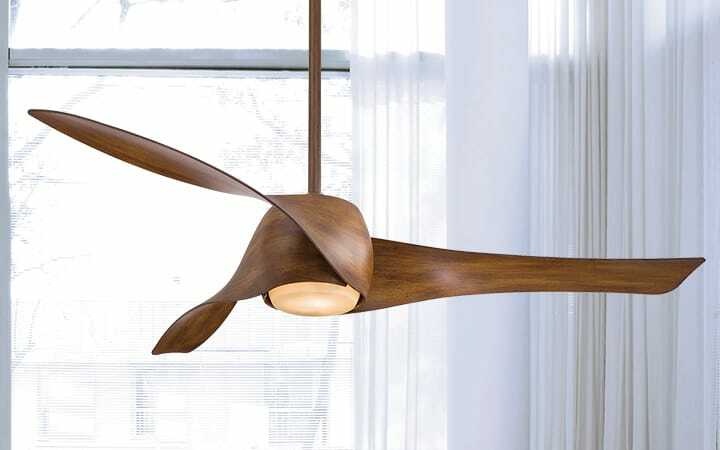 The number depends on a few things: the fan’s motor, the blade pitch and the length and/or shape of the fan blades. But the important part is this: The greater the CFM, the more air a fan will move. CFM is key when determining a fan’s airflow efficiency. Airflow efficiency is the CFM divided by the watts/amount of energy used to run the fan at its highest speed. A CFM of 75 is the minimum number to make a fan efficient. You could have a fan that moves a lot of air (with a high CFM), but does so at a high wattage. So, the fan may not be considered efficient. Look for fans that operate at a high CFM and low power usage. 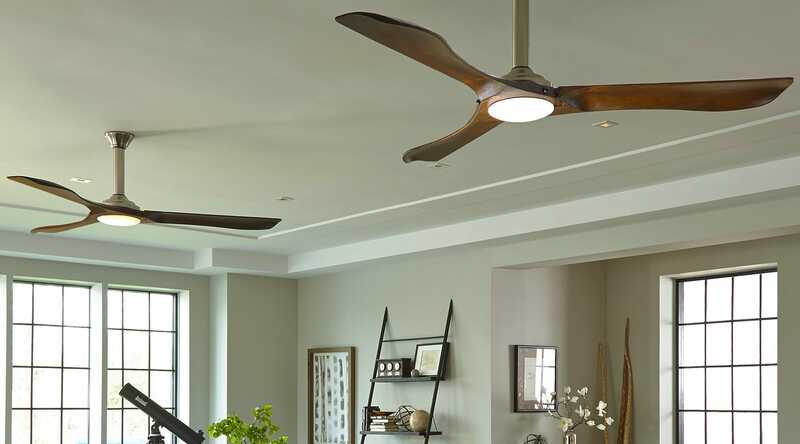 Additionally, to increase energy efficiency in your space, consider a ceiling fan with a light powered by an integrated LED kit. Instead of handling calculations yourself, we make that part easy for you. 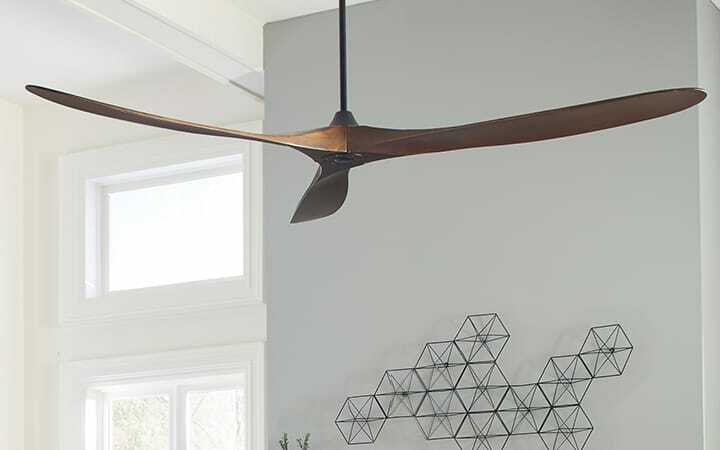 You’ll find the airflow, power usage and airflow efficiency metrics listed in the product details for each of our ceiling fans. If you have any additional questions about CFM as it relates to a ceiling fan you are interested in, please call our fan experts at 877.445.4486.